Earlier this week MasterCard announced that Simplify Commerce and TaxCloud have made it easy for businesses to accept payments and manage sales tax obligations. TaxCloud, an industry leading sales tax management service, has been helping online retailers with their taxes since 2008. But what does this mean to Simplify Commerce customers? Now businesses can use Simplify Commerce with TaxCloud to automatically calculate and collect sales tax for any street address in the U.S.
Online small business retailers out there know how difficult, confusing and frustrating it can be to manually calculate, collect and pay your online sales taxes. We strive to offer our customers simple options for accepting payments, whether it’s our quick merchant account sign up, easy-to-use APIs for developers, or our new sales tax integration with TaxCloud. 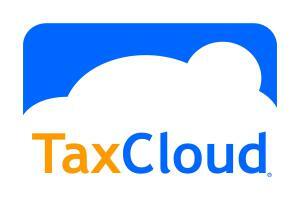 This entry was posted on Saturday, June 28th, 2014 at 1:40 am and is filed under TaxCloud. You can follow any responses to this entry through the RSS 2.0 feed. You can leave a response, or trackback from your own site.